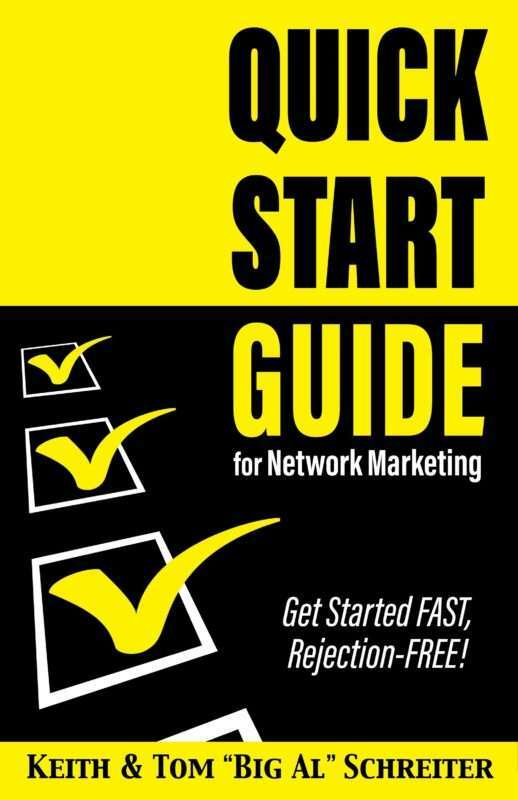 Are you looking for prospects for your MLM, network marketing, or any business? Would you like a presentation that rises way above the competition?Want to know what really motivates prospects to act? These marketing strategies and fascinating case studies and stories are taken from Tom “Big Al” Schreiter’s 40+ years experience in network marketing. * Easy, free, and inexpensive ways to get prospects immediately. * Powerful sound bites and micro phrases that compel prospects to act now. * Seven magic words that build your business, and how to use them. * Where and how to get the best prospects to come to you. * How to keep the undivided attention of prospects so you can tell your story. * Exactly how to add profits while you are prospecting. Why not make a profit when you advertise? * How to see unique ways to target the best prospects and customers. * How to get the best prospects to raise their hand and beg to do business with you. Instead of looking for prospects, spending money, and ending up with frustration and timid results, why not use these rejection-free methods to get easy presentations quickly? You will love the word-for-word exact phrases and the step-by-step easy-to-follow descriptions of what to do. 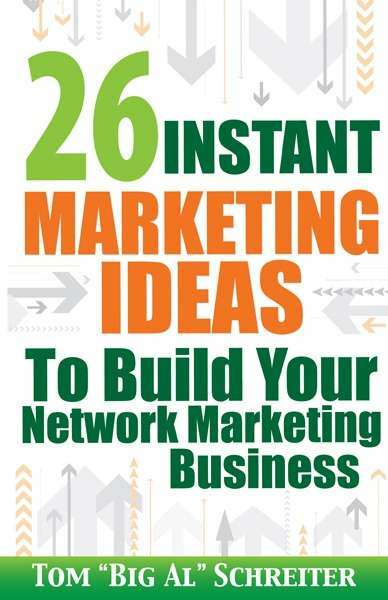 Your MLM and network marketing business depends on new prospects and a great presentation. The section on the weird reasons people are motivated will bring a smile to your face, and of course, more money in your bonus check. Network marketing is all about dealing with people. Use these techniques to stand above the competition and bring those prospects to you.